All photos courtesy of Dripkit. 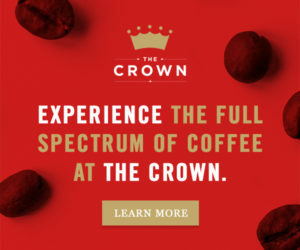 Along with packaged, pre-ground coffee products on the rise in the specialty coffee market from large players such as La Colombe and Blue Bottle, there has also been an increase in the number of complete, disposable mug-top drippers with pre-ground coffee included, such as the Kuju Pocket Pourover and Libra Coffee’s Pourtables. 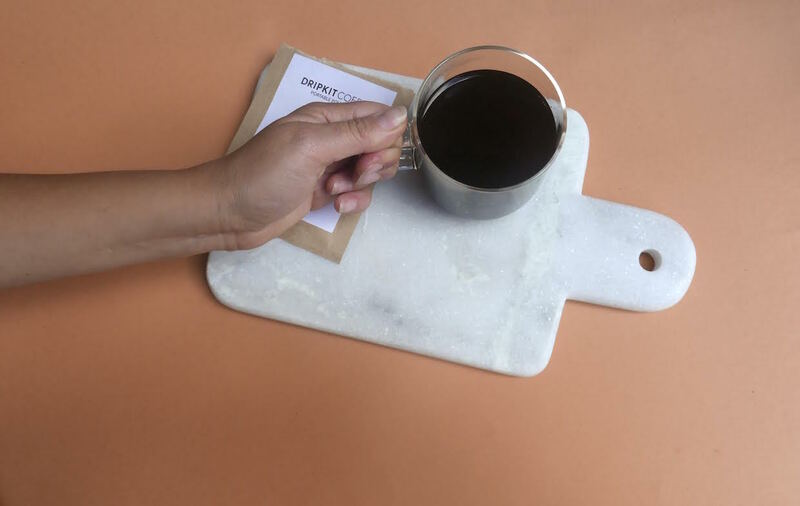 Currently entering production is another new design in the ready-to-brew mug-top category called Dripkit, set for retail launch this November. In collaboration with nine other designers, the Dripkit was developed by the Brooklyn, N.Y.-based company’s co-founders Kara Cohen and Ilana Kruger over the course of five months, as they worked through more than 100 prototypes before settling on the final design, according to the company. 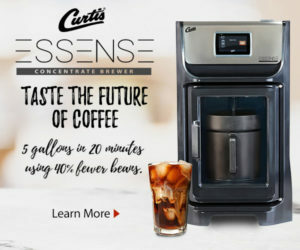 Once removed from its individual, oxygen-sealed biodegradable packet, a Dripkit brewer unfolds and reorients into essentially a triangle of cup stock paper that balances on top of most mugs, with a wedge-shaped, non-woven, coffee-specific filter suspended from the inside. 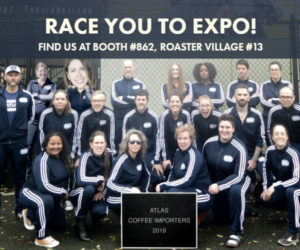 “We took the design process very seriously and worked with engineers, industrial designers, roasters, and baristas to tweak it,” Cohen told Daily Coffee News. Tabs at the top of the gusseted filter are heat-sealed to the sides so that it hangs in the correct shape, “almost like a hammock,” said Cohen. They also opted for a filter material that’s stronger and denser than traditional pourover filters to further restrict flow. “We’ve found it to be very forgiving. 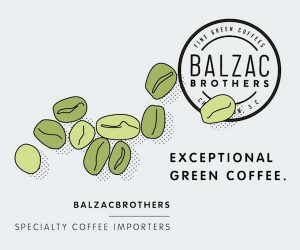 It’s pretty hard to make bad coffee with it, which to us is really exciting,” said Cohen, adding that their refractometer measurements indicate a consistent 20 percent extraction rate through the Dripkit. 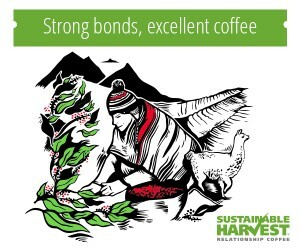 The sole coffee offering at the moment is sourced directly from a farm in Guatemala Cohen and Kruger visited on a tour conducted by nonprofit green coffee importer De La Gente. 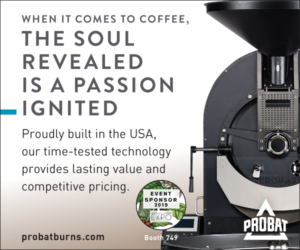 It is then roasted to highlight a balance of chocolate, spice and floral notes in the Loring machine at Brooklyn’s City of Saints Coffee Roasters by CoS Head Roaster Jim Osborn, and then ground on Mahlkonig-made grinders before landing inside a Dripkit. 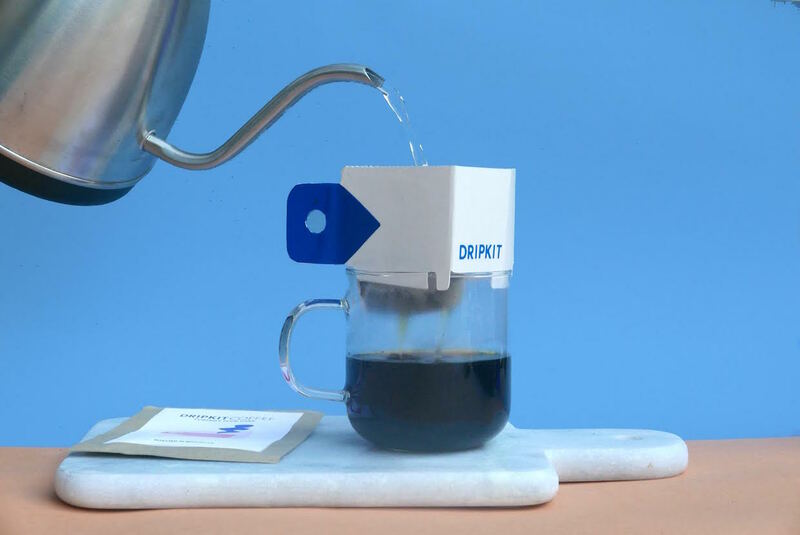 Dripkit is heading into production with momentum from a successful recent Kickstarter campaign, backers of which are projected to receive their Dripkits next month. 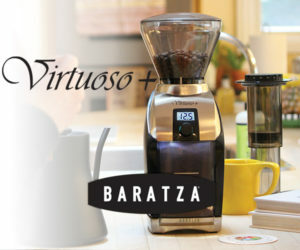 Currently the company is offering a pre-order sale price of two boxes of 10 Dripkits for $25. 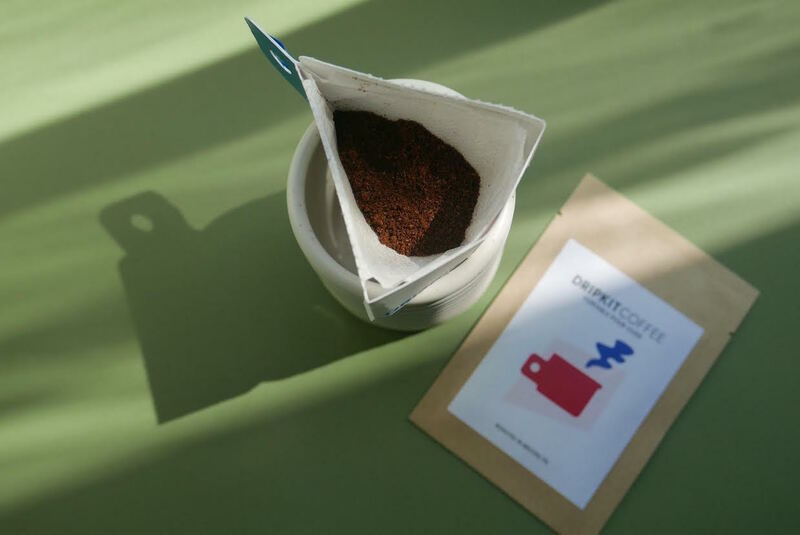 Upon launching in November, Dripkits will be sold in boxes of 10 for $25 (tax and shipping included) via the web, a la carte or by subscription.